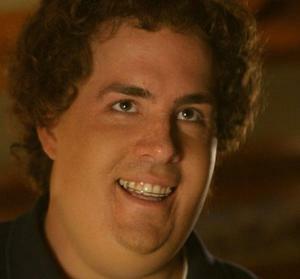 Between 2005 and 2010 I gained 53 lbs. (25 kgs). My BMI was at the bottom of the obese range. During 2010 I tried a juice diet and lost 35 lbs (about 16 kgs) in three months. I slowly and steadily gained 25 lbs back and, in December of 2011, I decided that something needed to change. Since then I’ve used an app on my phone to keep track of my calories and control my portions. I’ve also gotten into exercising, mainly cycling and hiking. It’s been a good time to go through Michel Thomas Method Arabic and Chinese, as well as listen to podcasts in my other languages. To date I’m down 46 lbs and am at a healthy weight for the first time since 2005! I’ve become a rather inhibited person and I don’t like it. In addition to getting my weight under control, I’m trying to get outside my comfort zone more often. On a hike a few days ago, I passed a group of young Mexicans on their way up the mountain. On my way back down, I recognized one girl who was still hiking up the mountain far behind the group. ¡Tú sí puedes! (You can do it!) I said to her. It’s hard. she wearily replied. I usually let other people determine the language but this time I felt insistent. Tus amigos te están esperando. ¡Vas a poder! (Your friends are waiting for you. You can do it!) I was rather surprised by what happened next. Van a tener que esperar mucho. (They’re going to have to wait a while) she said. Para eso son los amigos. (That’s what friends are for.) is what I think remember saying but by then I was farther down the mountain and she probably didn’t hear me. I was proud of myself for getting outside of my comfort zone and the rest of the hike went quickly. 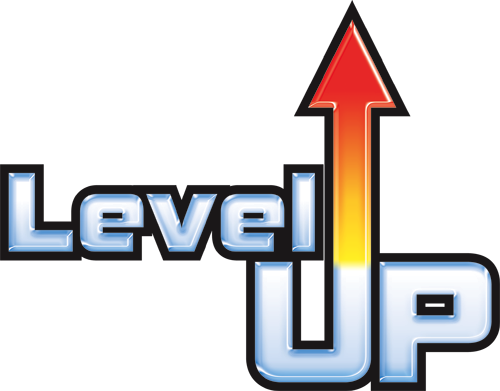 Leveling up is what many people in the online language learning community call giving a practical application to the language you’ve been learning. This was demonstrated very well in a video of Moses McCormick and Benny Lewis that I blogged about a few weeks ago. This can be done online on websites like SharedTalk.com and the Polyglot website’s chatroom or on Skype. I think the best and most rewarding way to do it is in person. My friend Rich blogged about a recent experience he had leveling up in Persian. I know it sounds daunting but even if you mess up it’s usually exhilarating and makes you want to go home and learn more. Leveling up exposes your weaknesses and shows you where you are actually better than you thought. You often get much needed encouragement and make new friends. You learn little things that are impossible to learn by your self, like facial expressions and filler words. Have you had any experiences leveling up in a language? Tell us about them. Yup. Easily the most enjoyable way for me to use Spanish is when I talk to a native speaker via skype and I’m able to express myself better than I’ve ever been able to before, which happens frequently since the more you talk the better you get at it. When I have a good, solid conversation with a native speaker on there and I’m able to understand them and express exactly what I want to say, and they can understand me, it’s just so very cool, so rewarding…very satisfying, if that maybe works a bit better. I really feel like I’ve accomplished what I set out to do, I achieved the purpose for all this learning I’ve done, which was to be able to talk with native speakers (that’s my ultimate and most important goal and I’ve found it’s also that with most language-learners), which is what I just did. Thanks for the link. Glad to hear you got out there and spoke. Good idioms, too.